The rise of LGBT+ characters in video games is probably one of the most amazing things I’m glad to witness in my lifetime. It’s terrible that it’s not already a norm, but to be able to witness the world becoming more accepting is a relief. I am going to write about several games that I have played featuring LGBT+ characters, but fair warning, I reveal some spoilers of the games themselves. 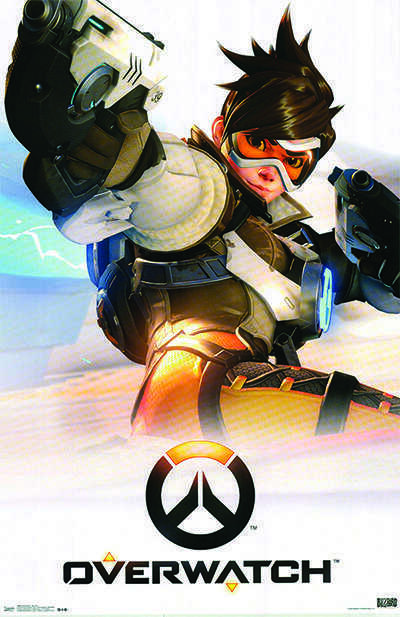 Overwatch is one of the most mainstream video games that has an LGBT character, and she’s even the poster girl for it! Tracer, also known as Lena Oxton, was revealed to be a lesbian in a comic last year and it included a scene of her celebrating the holidays with her girlfriend. Blizzard had been hinting at there being LGBT characters in the franchise for a few months, which means that they are planning to reveal more characters that are part of the LGBT community. It’s incredible to me that a game that got a 9.4 out of 10 on IGN has a character that many people can relate to and see her as a superhero. Another game with an LGBT+ lead, is Dragon Age 2. You can play as a male or female character and be able to romance five different characters who are of many different races. However, one of the characters can only be romanced by a female lead. I was so excited to find a game that had a real goal and plot while also being able to romance characters. I had usually only encountered games that had a boring plot with cutesy romance. That can get tiring when that’s all you see. So, if you want an action packed game with interesting characters and places, this is the game for you! Life is Strange has a bisexual lead where you can have some form of relationship with two characters, a boy and a girl. Max the main protagonist, can kiss Warren, the friend she made in the school she transferred to, or end up with Chloe, her childhood best friend. The game implied that the true ending is either with Chloe or saving the city instead of an official relationship with Warren. Life is Strange starts off as only about friendship, but your choices can make Max sacrifice many things for Chloe. This game is all about your decision! Hopefully in the future, there are many more video games with characters of all identities for us to relate to and root for!